Are you ready to race a power tool?! Not quite? Then this build day is for you. Grab a corded power tool* and some wheels, we'll help with the rest. This is a great parent-child activity (and also fun for grown-ups). 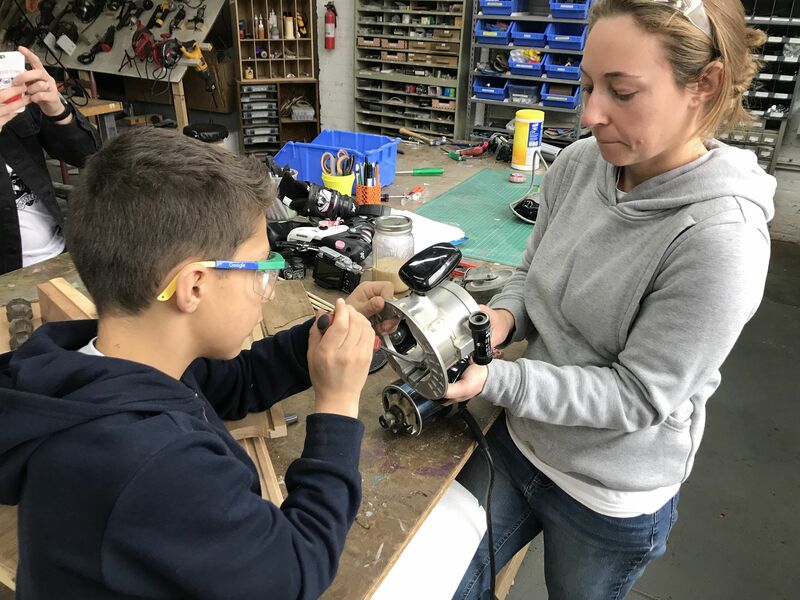 Participants need to bring their own power tool racer and materials, but will have access to the tools and expertise available at Vector Space. Vehicles will race at Power Tools Racing at Lynchburg Mini Maker Faire on March 24. The race is sponsored by the James River Council for the Arts & Humanities. *Maybe bring a tool that isn't your favorite, in case it becomes a permanent racing vehicle. In the market for a used tool? We recommend L Oppleman Inc on Main St.